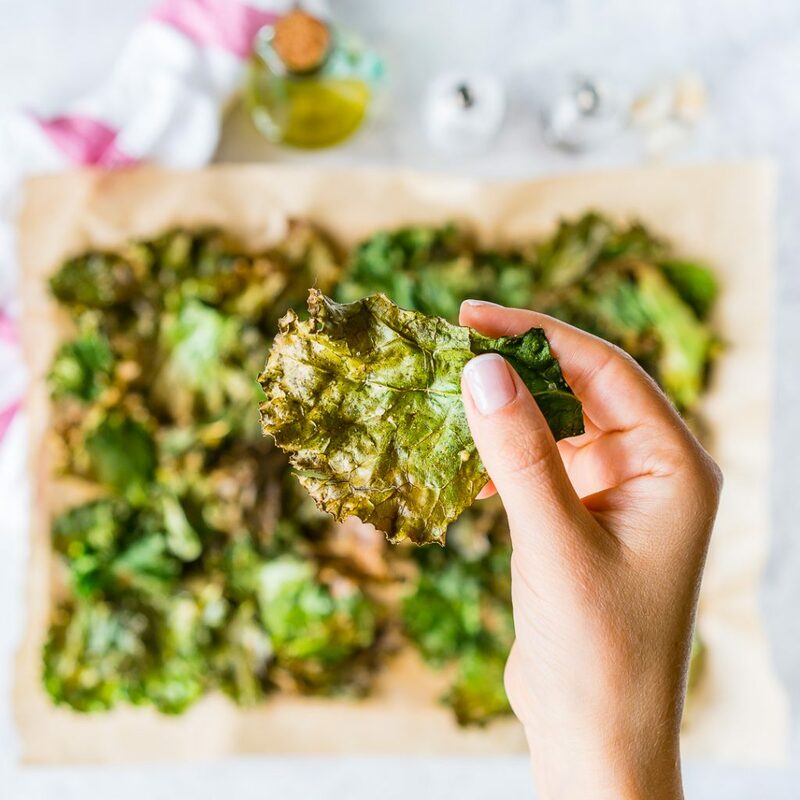 Extra Crispy Garlicy Kale Chips are Smart Clean Eating Snacks! Preheat your oven to 300f. Line 2 separate large rimmed baking sheets with parchment paper. Remove the stems, and roughly tear kale into large pieces. Wash and spin the leaves until VERY thoroughly dried. Add kale into a large bowl. Massage in the oil with your hands until very well coated. Sprinkle on the seasonings and toss to combine and distribute evenly. 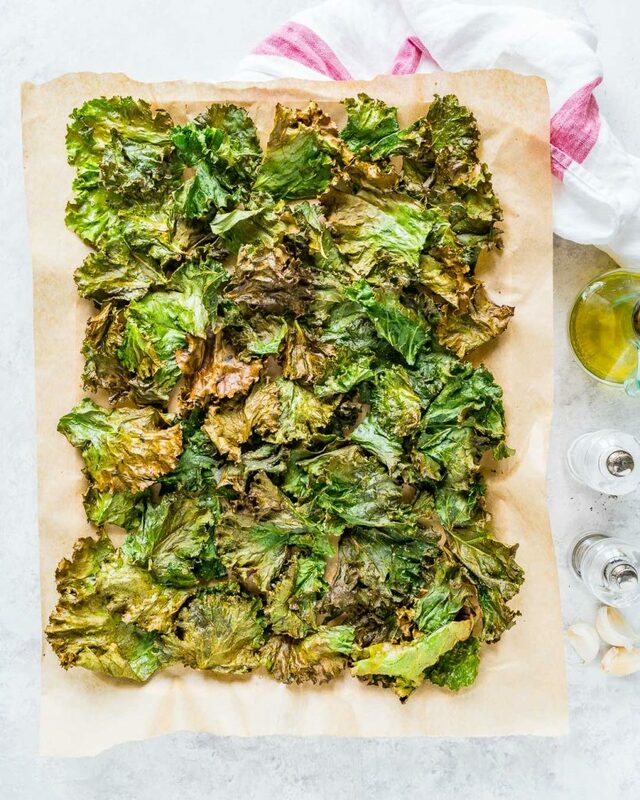 Spread the kale equally onto the prepared baking sheets into a single layer, being sure not to overcrowd! – overcrowding means it won’t be crisp. 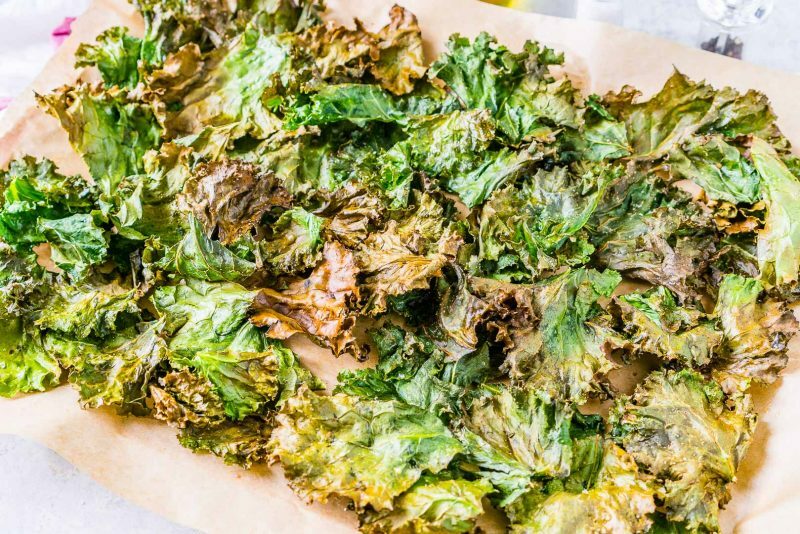 Bake for 10-12 minutes, rotate the pans around in your oven, also flipping any pieces that are starting to look quite crispy and bake for another 12-15 minutes more until the kale begins to crisp up. About 25-27 minutes total baking time. Cool on the sheets for 5 minutes. 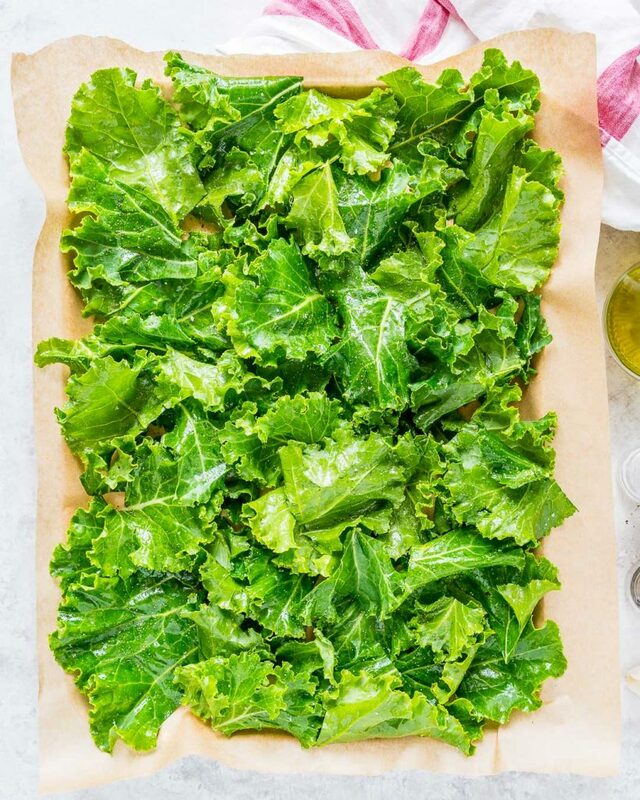 Spread the kale equally onto the prepared baking sheets into a single layer, being sure not to overcrowd! - overcrowding means it won't be crisp.